Introducing SATO RACING's new Race Concept series of parts! Race Concept parts are specialized racing parts that were originally designed for competition use by the various teams entering the Suzuka 8 Hours and other endurance races in Japan. As a result, these are pure racing parts meant for dedicated track bikes, with no design compromises to make the parts also practical for mixed use / street riding. (As an example, most models of our Race Concept Rear Sets are not designed for use with a rear brake light switch or ABS). 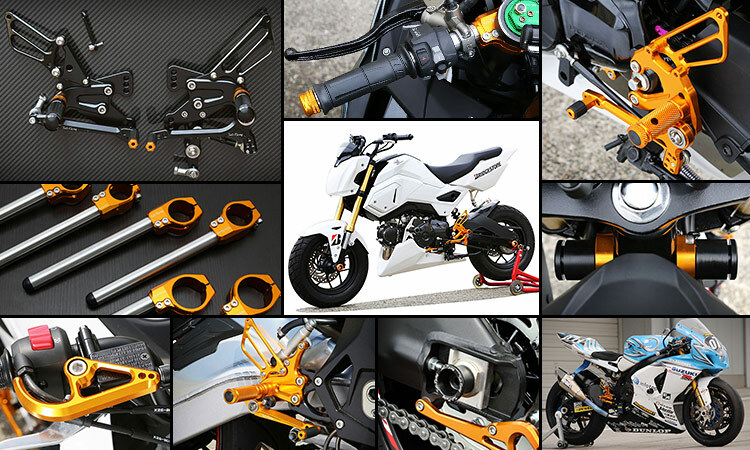 For this reason, our Race Concept parts are not really for street bikes, but if you are building a full-on race bike, these unique, track-bred parts may be exactly what you are looking for to get an edge over the competition.